It is important to write out a prayer strategy for every area of your life, but there is nothing powerful about writing them and taping them to a wall. No strategy will ever be successful without a leader that is devoted to its success, and your devotion is expressed through your consistent, faith-filled prayers. Prayer moves the hands that move the universe. Prayer invites God to glorify Himself in our needs and weakness. Prayer confesses desperation for God and sets our attention on His ability and authority to make things right and make people righteous. God not only heals, He restores, redeems, and can make things even greater than you can imagine or dream if you set your heart on His will. Pray for God’s healing touch to be upon the sick in the community. 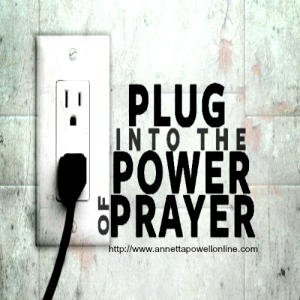 Pray for God to provide you prayer strategies and that you will recognize His voice and do His will. For God to rise up men and women of integrity, faith and love to places of spiritual and secular authority throughout the church and the city. Pray for children and youth. Pray for the judicial system : your local court system and the United States Supreme Court. Is there a part of God’s Word that you have not believed? Is there a promise that you disbelieve? A command you disregard or something you do or say that regularly disrespects God? It is vital that you believe God’s Word from beginning to end; you do not get to pick and choose through the stories and verses. Pray that Christians and members of your church, including yourself, would study, meditate and pray the Word of God on a consistent basis. Pray that all divisions, dissention and disagreements that keep the churches from walking together as the body of Christ cease and that forgiveness occurs. Pray for the heartbroken and lonely. Pray for those who are grieving because of death, divorce or lost. Pray that the Holy Spirit will convict unsaved persons you know (name them), bringing them to repentance and faith and guiding them into all truth. 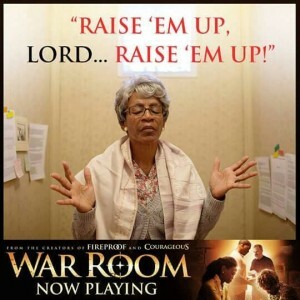 Elizabeth ( from the War Room) realizes that she needs to kick Satan out of her house. She quotes James 4:7, “Submit to God, resist the devil and he will flee.” It is a procedure with a promise. Jesus quoted Scripture against Satan’s temptations in the wilderness and Satan’s schemes were unsuccessful. Pray that you will grow in the knowledge of God’s Word for every aspect of your life. Pray that parents will study the Word, come to Sunday School and began to talk to their children about the Word of God every day. Seek God for the sick: There are many names on our sick list – Please pray for each name on that list and focus on three in particular for the rest of the week. Pray for persons with mental illness, who are suicidal and/or depressed. Satan does not give up. Even in Jesus’ ministry after the three temptations in the wilderness, Satan continued to use demons and other people to be a distraction or disruption—or even try to detour Jesus from God’s plan by the people’s desire to make Jesus their earthly King. Jesus as an earthly king sounds like a good idea that could yield some good, temporary benefits to the Jews in the first century; yet God’s plan was best—the eternal defeat of sin and death and redemption of the created with their Creator for all eternity. 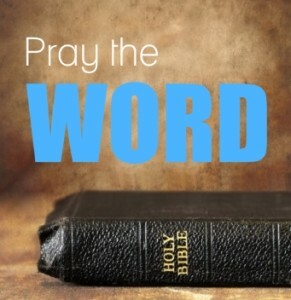 Pray that the Father heals ________ by the power of the Word. Thank the Lord for sending Jesus to bear our sins in His body so that by His wounds ___might be healed. (Psalm 107:20; 1 Peter 2:24). Pray for persons who are mentally ill, depressed or suicidal for deliverance, healing and sound minds that recognize the voice of Jesus. Pray that God will provide for the financial resources to meet the financial needs of the sick. Pray for the caregivers of the sick and shut in. 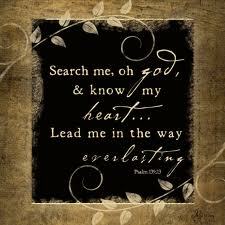 Search Me Lord. I Won’t Complain, but Praise YOU. 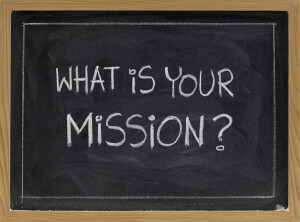 Every strategy includes identifying your strengths, weaknesses, opportunities, and threats (SWOT). 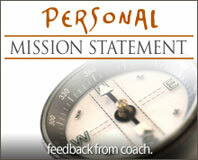 It helps you to take a critical and complete look at what you have and what is needed for success (victory) to occur. God is your strength, and He has given you many talents, gifts, resources, and opportunities. Write down these strengths. Ask at least three people who know you well to tell you what they have seen and experienced as your strengths. Write down their responses and keep them/post them with your list. The season of Lent should be a time of intense discipline and devotion. Obviously the word discipline is close to the word disciple. We are disciples or followers of Christ. We become like Christ through disciplines such as Bible Study, prayer, and ministry. Oh by the way, do you have your journal, Bible and a listening ear on this journey? For you to be obedient to the call to be a witness to others on your job, at the store and everywhere and to know what is your individual mandate. Pray that family members and church members will have a strong and growing love for God and for others. Pray that the church would walk in love for one another without hypocrisy and out of a pure heart. Pray that the love of Christ will permeate you , believers in Christ and all churches so that the world would see and believe that God loves them and sent His Son so that they might have everlasting life and live in His love through salvation. Pray that God will forgive us, as a nation for the mistreatment of Native Americans and other ethnic groups; for God’s fullest blessing upon their families and lands, that the tribes will find their healing justice and highest dignity as a people in Christ; that the gospel is proclaimed with love to them. 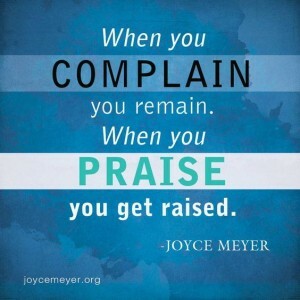 DAY 18 – February 27th – Don’t Complain: Praise and Pray. Miss Clara points out to Elizabeth that Satan is the enemy, not her husband—and that all of her complaining brings curses and not blessing or healing to her marriage. Complaining is the praise music of hell. 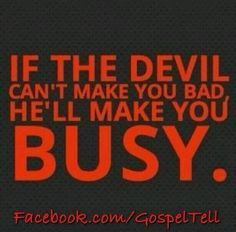 Satan loves to hear us gripe and grumble. On the other hand, Satan hates to hear us pray. He can deceive, distract, and discourage us all he wants until we turn to God to fight for us—and then Satan is defeated! God has no tolerance for complaining; it does not express faith. 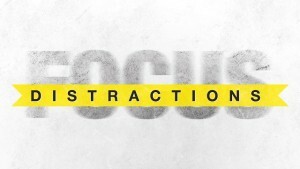 If you want to fight the good fight, it is time to turn our eyes on Jesus and profess our faith in Him. Praise expresses the awe-inducing, unchanging, mighty attributes of God. As we profess that He is Almighty, we perceive that our problems are not big and bad after all. Bible study and prayer are essential to the life of every Christian. Intentionally read and study the scriptures and listen to God’s words. Fill your mind and soul with His stories and His truths. Spend more time in prayer. Learn to pray on your knees or prostrate on the floor. Confess your sins. Ask God to reveal to you areas of your life that need His transformation. Commit to deeper Bible study and times of prayer. Pray for those who are blinded by sin that the scales will be removed from their eyes, ears and their minds are illumined with the gospel. Pray for unbelievers to accept Jesus Christ as Savior. Pray that you and members of your church and believers everywhere would praise the Lord with their whole heart and grow in personal and corporate prayer. Pray for opportunities for you and other believers to witness and invite people to the Lord and/or to the church. Colossians 4:2-4. How has your personal prayer journey been during this Lenten Season so far since we started on February 10, Ash Wednesday? I pray that you are indeed listening to the Lord, studying the Word and seeking God in prayer and fasting. Keep pressing toward the mark even if it may be a little challenging. 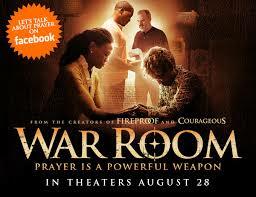 Again keep pressing on the “War Room Journey: Praying, Listening to the Lord And Living the Life”. 1 Timothy 2:1-4; Philippians 4:6-7; Deuteronomy 30:20; Galatians 2:20, from February 10, 2016 through March 26, 2016. Pray that parents will be diligent in disciplining their children and to train them to walk in obedience and demonstrate unconditional love for them. Pray for a desire for prayer to be stirred up within all family members and that answers to prayer will occur to build faith and consistency. Pray that your family and/or friends will experience rich times of praying together, playing together and worshipping together. Pray for youth and children. Pray for salvation for family members and friends. Victory can only happen with tenacious training, scrupulous strategy and persistent practice. We do not stumble into victory, we battle our way to victory. 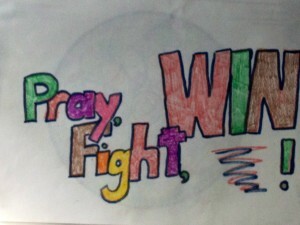 “You want to be a prayer warrior. Declare it and then do the necessary work . We are warriors, prayer warriors—the most lethal and feared warriors in God’s army. Satan shutters when we start to pray; he flees as the name of Jesus rolls off our lips. If you want victory to come to your life, your church, your family, your community and nation then you have to be deliberate in prayer. Prayer is a habit, not happenstance. There is no such thing as a coincidence. Write down the answers to the following questions: What does victory look like? Where do you need to advance and from which direction? Who is your enemy and how does your enemy fight? 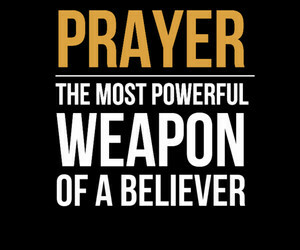 How will you know when the battle is won—when the prayer is answered? 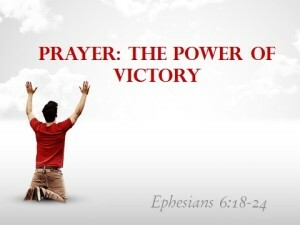 Pray to God about the areas in which you struggle and in which you need to have victory. Pray for women and children to be delivered from the evils of human trafficking. Pray for the elderly for their protection for elderly abuse and health. Pray for care givers for rest and their health as they care for others. For unity among churches and that there will be an increase in participation of true corporate prayer and seek to gather together for corporate prayer as well as to open our mouths to praise and pray to the Lord in unity. For a fresh passion for worship among the believers and that the walls of division created by denominations, personal preferences and styles which do not honor God be torn down. Fathers: that fathers will look to God as the ultimate spiritual head of their household, serving and caring for their families; that God will instill a vision for wholesome, supportive fatherhood among the fathers of the city. Pray that absentee fathers would change their lifestyles to nurture their wives and children. Pray that children will see the character of the heavenly Father in the lives of their dads. Linda Fegins, “The Prayer Leader” serves as prayer leader and teacher/trainer on the “Prayer Boot Camp” with the Global Missions Prayer Force and as a guest intercessor and volunteer for Girlfriends Pray a global prayer ministry. She served as Prayer Coordinator for over 13 years( later Director over the Prayer Ministry) for the Lydia Circle Christian Business and Professional Women. As part of the Lydia Circle she has lead over twenty prayer boot camps, and has lead prayer services and workshops in the Bahamas and in South Africa. She served on the prayer team of a medical mission trip to Jamaica under the leadership of Rev. Jackie McCullough. She also serves as the Prayer Leader for her church’s Intercessory Prayer Ministry. This is the fourteenth day of the prayer journey. How are you doing? Hopefully you have brought your Bible, journal and a teachable spirit to this time with the Lord. The Lenten season is a time of discipline , study of the Word of God and prayer. Spend more time in prayer. Ask God to reveal to you areas of your life that need His transformation. Are you setting aside each day to pray, study the Word and to meditate on the Word ? Are you exercising your spiritual muscles by taking the time to do the exercises and to listen to God? •	Pray for the church and you to become committed to following after the Lord. •	Pray for the persecuted church. •	Pray for the city of Flint for healing, justice , resources and water. •	Pray for women and children to be delivered from the evils of human trafficking. •	Pray for those who are unemployed.-Pray that God will meet the needs of those without work in a way that they can thank God for his provision; that they will soon find meaningful employment and glorify God for it. Linda Fegins, The Prayer Leader. 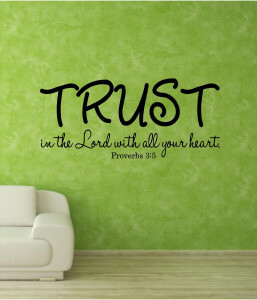 Trust the Lord and Seek Him. 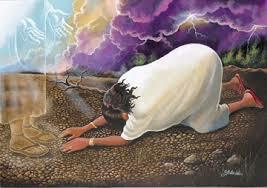 Write down, “Lord, in Your love and authority You beckon me to call upon Your Name, thank You! 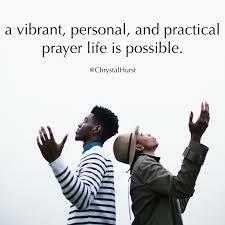 Prayer is our time together in conversation that makes our relationship stronger and more intimate in my life. I love You because ____________; I trust You because____________, and I will seek You first, every day and in all circumstances. •	Pray that by the Word and the Holy Ghost your prayer life with God will deepen and increase such that you hear God’s voice when he gives you an assignment and will obey. •	Pray for yourself or _____ to trust fully in the Lord knowing that He knows the times and the seasons and is able to accomplish that which concerns you today. •	Pray for unity and cooperation among the ministries and leaders. •	Pray for Michigan leaders and Governor Snyder. •	Sick People: For God’s healing touch to be upon the sick of the community; that they will be comforted; that they will grow in character as God walks them through the ordeal; that God will provide for their financial needs; for their care givers. DAY 12 – February 21st – Vibrant Prayer Relationship . So how “vibrant” is your relationship with God? Write down some adjectives, characteristics, and evidences that describe your current relationship with Jesus. Describe your daily interaction and affection toward Him. How many times do you think about Him during the day? How often do you talk with Him, thank Him, or give Him credit for something good or beautiful? Is prayer your first response or your last resort? One of the biggest mistakes made in prayer is that we make it about us. We think that we only need to talk to God when we need something. But that is not how any successful relationship communicates. If your write your spouse a love note, or a friend a thank-you note, you do not fill it with ways they can make your life better and easier. You thank them for all they have done and the meaning that they have already brought to your life. Love expresses and affirms affection without attaching a required expectation at the end of the sentence. We do not say, “You bring so much joy to my life, so give me $50.” Practice praying throughout your day; a sentence here, a thought there that just tells God how much you love and appreciate Him. Practice making your requests in the mindset of His will, so He receives glory and His Kingdom is impacted. •	Ask God to search your heart and life and to reveal to you any sin you may need to deal with. •	Pray a prayer of praise and thanksgiving. •	Ask God for spiritual blessings, for ministry opportunities and empowerment for service. •	Pray that the gospel may reach the unsaved, unchurched and those hurt by church “folk” such that they may be saved and their hearts and minds are renewed. •	Ethnic Communities: Psalm 22:27 – that God would bring racial harmony; that long standing offenses may be healed by the forgiveness which begins in Jesus; that Christians show honor and act in Christ’s reconciling power; that many churches would demonstrate the redemptive purpose of God in the beauty of the distinctive languages and cultures. •	Pray for President Obama and his family. •	Ask God to search your heart and to reveal to you any sin for which you need to seek forgiveness. •	Intercede for family members, friends and neighbors that they may began to seek to know God and have a desire to walk and talk with Him. •	Pray for Families Gen. 28:14 – For God centered relationships among family members; for families broken by divorce to be healed; that Christ’s forgiveness would occur among family members; that parents will teach their children in God’s ways of living and that families would pray together. •	Pray for those who are unemployed and those burdened by debt. 	Something to Act On: Write down what you want to lay aside and to stop doing. Now write what spiritual things you want to rise toward thinking and walking in to please God and to be more like Jesus. Take time to listen. Linda Fegins, The Prayer Leader. Linda Fegins, “The Prayer Leader” serves as a prayer leader and teacher/trainer on the “Prayer Boot Camp” with the Global Missions Prayer Force and as an intercessor and volunteer for Girlfriends Pray, a global prayer ministry. She served as Prayer Coordinator for over 13 years( later Director over the Prayer Ministry) for the Lydia Circle Christian Business and Professional Women. As part of the Lydia Circle she has lead over twenty prayer boot camps, and has lead prayer services and workshops in the Bahamas and in South Africa. She served on the prayer team of a medical mission trip to Jamaica under the leadership of Rev. Jackie McCullough. She also serves as the Prayer Leader for her church’s Intercessory Prayer Ministry. Tags: believe. Listen, obey, submission, surrender! 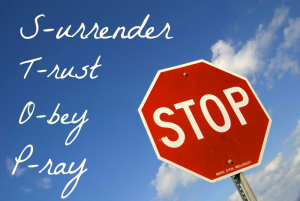 DAY 10 – February 19th – Surrender! 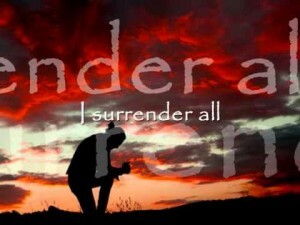 Surrender seems backwards and counterproductive to our earthly mindset of success and victory. But in Christ, the key to success is to surrender, seek Him, and submit to Him daily. Hopefully you have brought your Bible, journal and a teachable spirit to this time with the Lord. The Lenten season is a time discipline , study of the Word of God and prayer. Spend more time in prayer. Ask God to reveal to you areas of your life that need His transformation. •	Pray that the love of Christ will compel believers everywhere to share the gospel with others in love. •	Pray for a deeper relationship with Christ through prayer and to help you pray consistently. •	Pray for Youth – Psalm 144:12 – that they will commit themselves to Christ; for moral strength to choose wisely; for older mentors; for friendships with those who are following Jesus, for good relationships and open communication with parents. •	Pray for the United States Supreme Court Justices, the state and local judicial system .